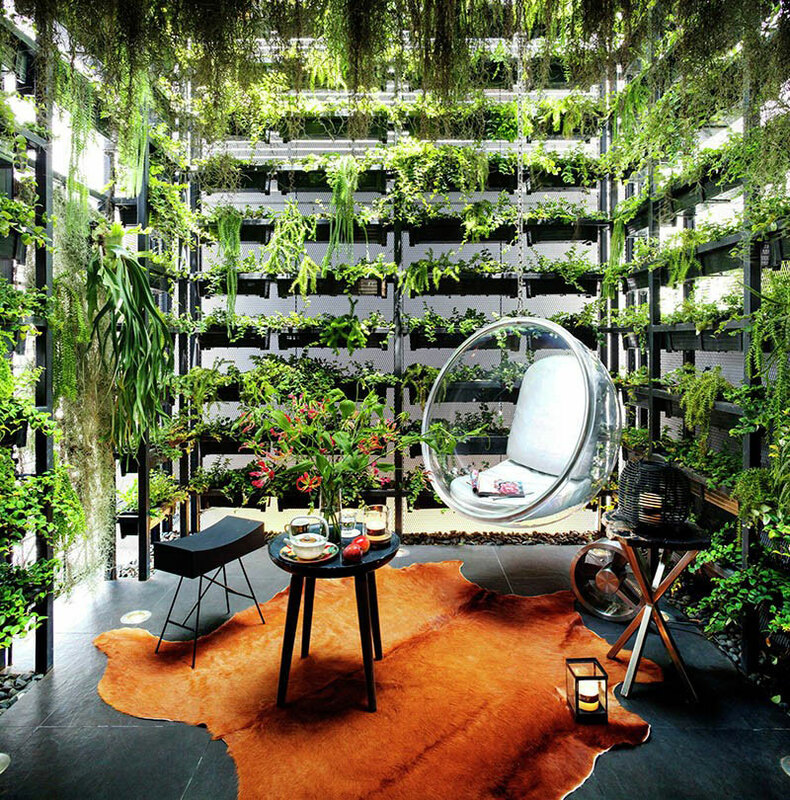 Yes, you can add a vertical garden inside your house just like this home! A design of a house can integrate some environmental context in it which may add to its uniqueness and style. Many homes have considered this by observing sustainable features like a green roof that collects water and solar panels. Others add a garden inside their house or merely some plants too. 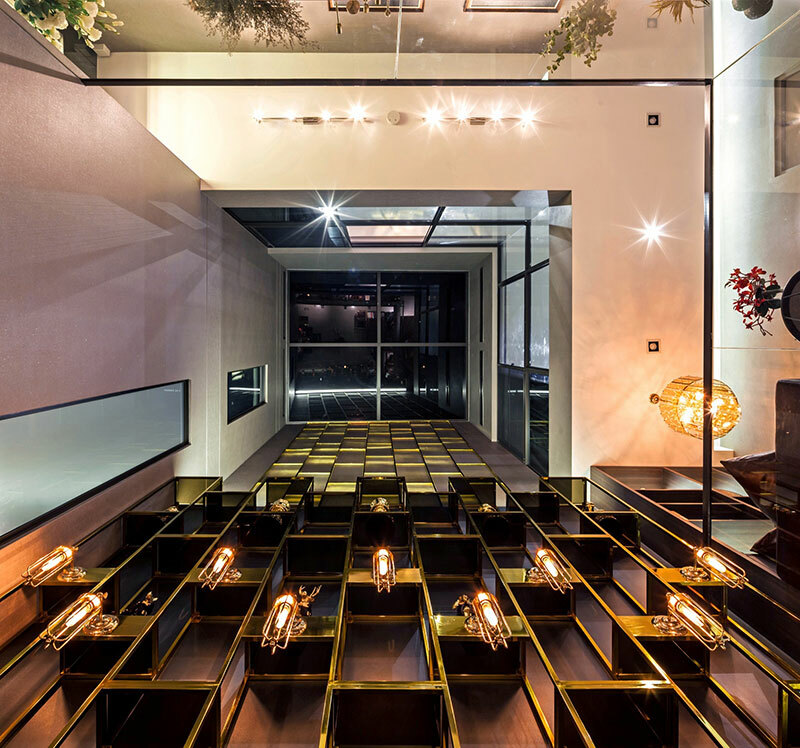 A home located in Bangkok, Thailand called the Feature House sits on a towering condominium which primarily aims to create a residential space which could reconcile architectural solution to an artistic space that is functional as the same time. 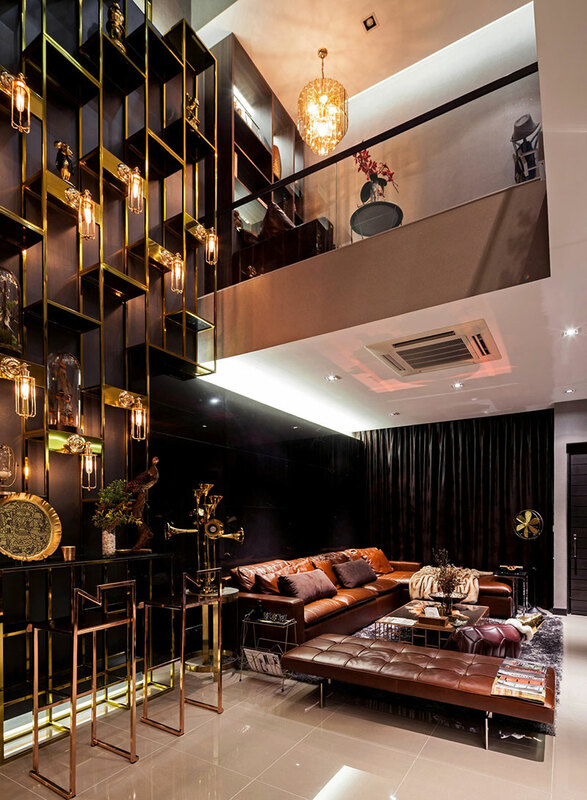 Hence, the owners wanted a relaxing and lively home with features that include a backyard vertical garden, triple space, mega size furniture, eclectic collection, chinoiseries and a smart home & moon roof. The designers said that the house welcomes with a “Triple Space” which is an open void at the center while a convertible car like “Moon Roof” has been installed at the top which allow natural light through the interior space. 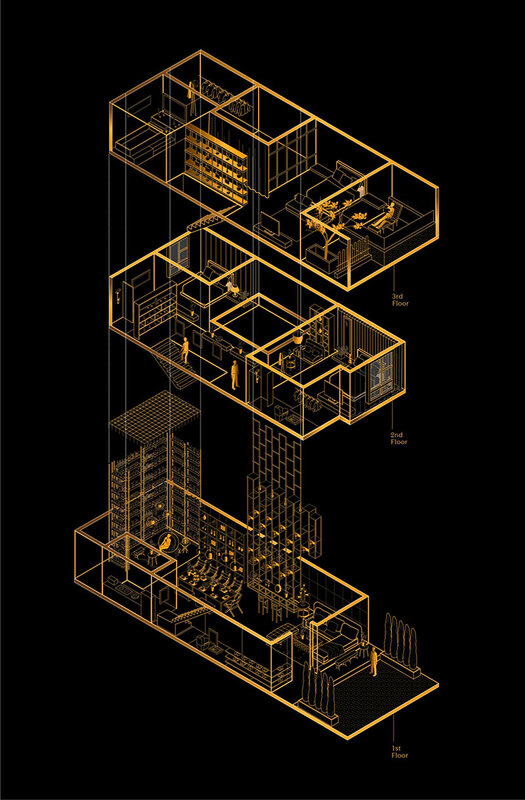 An automatic system can control the amount of light to enter the house. “Chinoiseries” refer to the reinterpretation of oriental ornament into western tradition. You can also see “Mega Size Furniture” as well as the “Eclectic Collection” arranged on a very tall shelf. On the first floor, you can see things with the concept of earth and the origin of things, on the second floor is about habitat and terrestrial animal, and the third is for air, wind and insect. 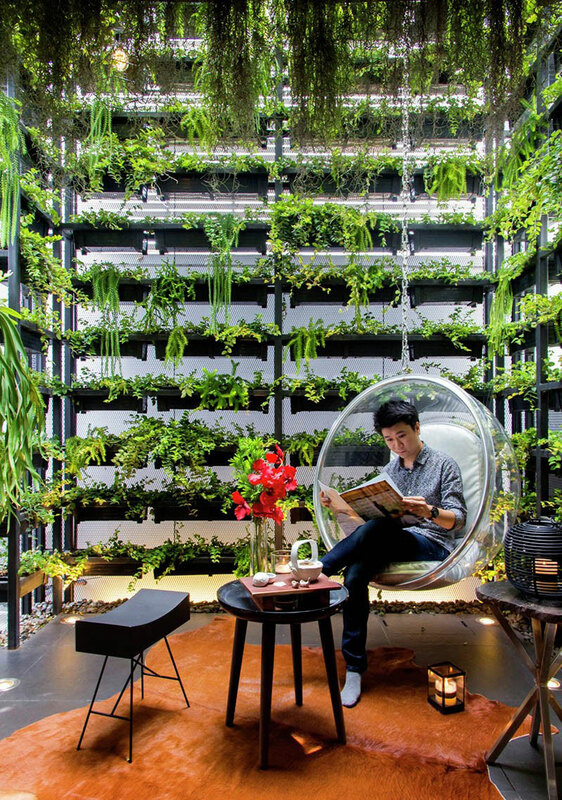 At the backside of the house is a “Backyard Vertical Garden” that is 7.5 meters in height. Let us take a look at the house below. Unique feature: A beautiful town house interior combining the beauty of Western and Eastern design and culture. 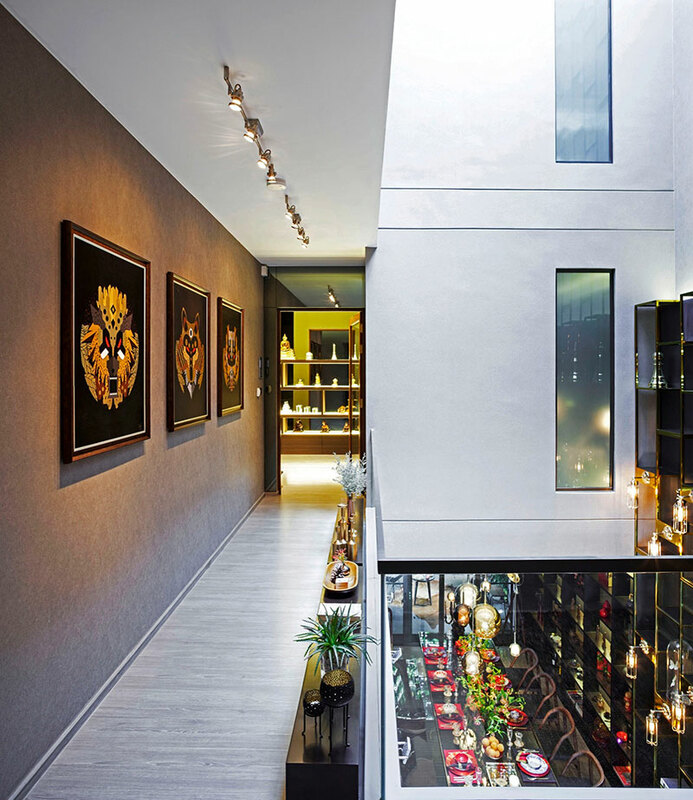 It features a vertical garden as well as a tall display of eclectic collection from the homeowners. The Feature House is just one of the homes in the area but its interior design and lighting set it apart from other homes. 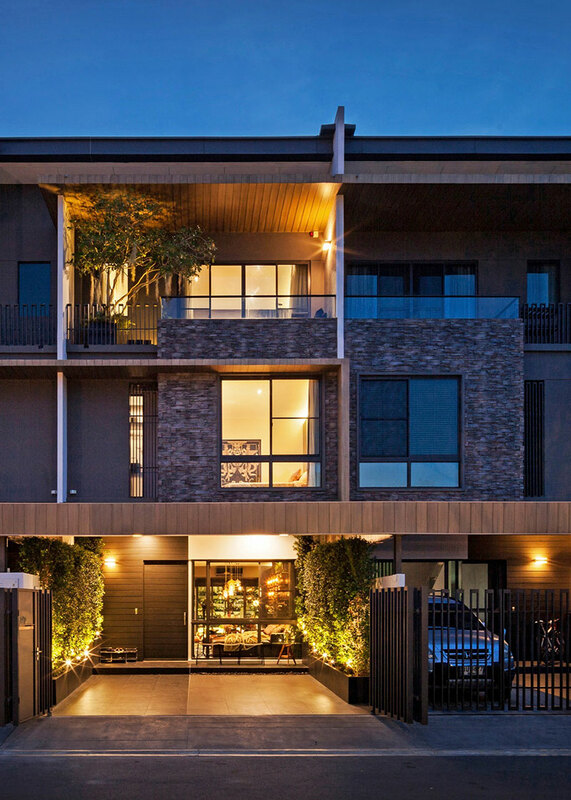 The house is actually a town house which stretches upwards with limited space but the designer was able to integrate everything the homeowner needs. 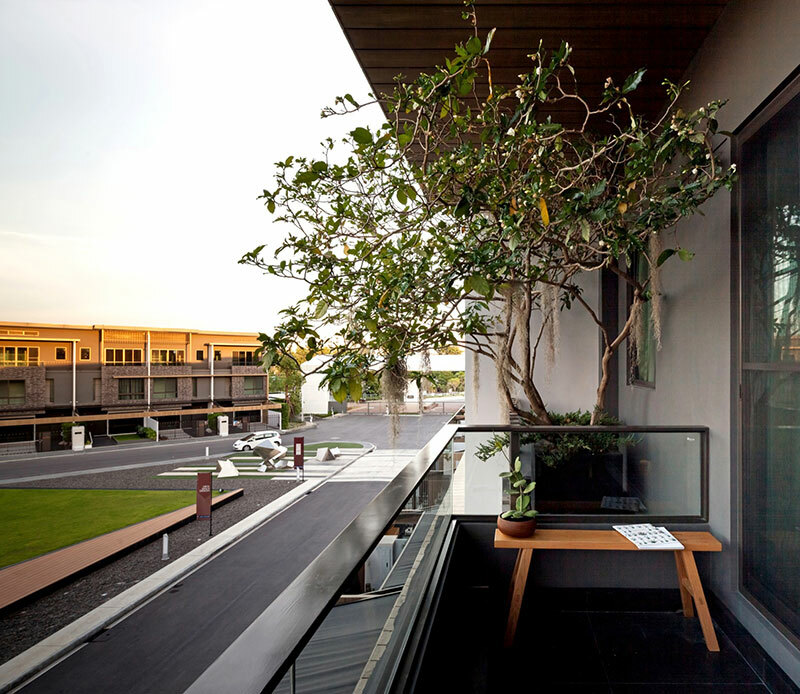 Aside from a vertical garden, one can also see a tree added at the upper most level balcony of the house. The overall space has the elegance of the Western style but still keep the soul of the East. The furniture used in the interior has been selected from Thai designer who aims to support and promote local creativity. The furniture used in the house includes a Tibetan sofa, Exotic chair and astonishing “Mega Size” table. The space looks more elegant and adaptable with its choice of furniture. 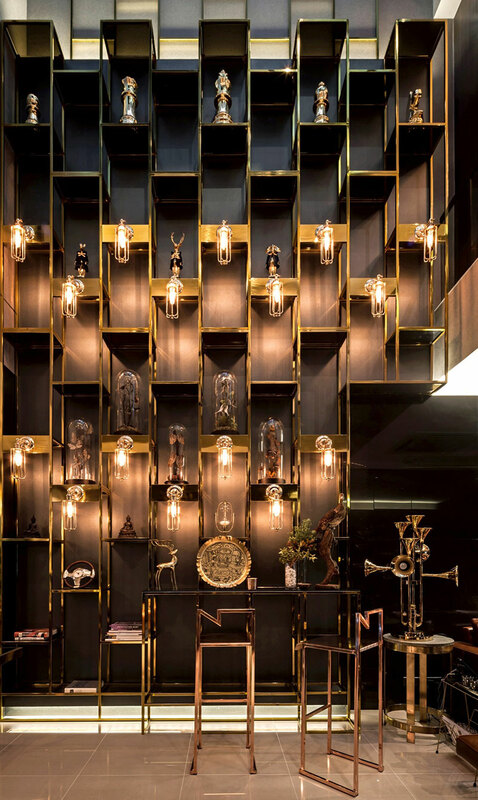 The collection displayed in the living room has added more value to the space and brings the spirit of the East by gold finishing with the local specialist artisan. 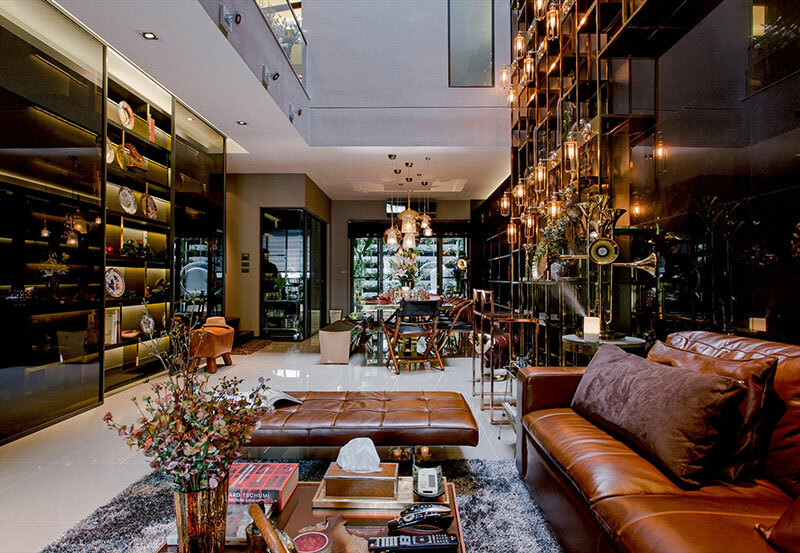 These are the personal “Eclectic Collection” of the homeowner which has been collected from various parts of the world. Each item has some story behind them. It is lighted too which is a good idea to highlight the collection. 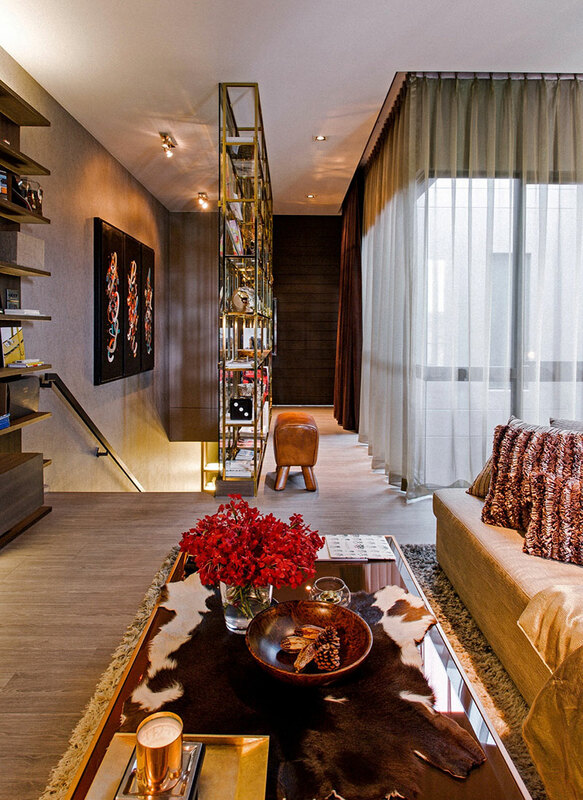 On the upper level, there is this space with a small seating area inserting a comfy couch made of leather. Above it is a beautiful crystal chandelier. 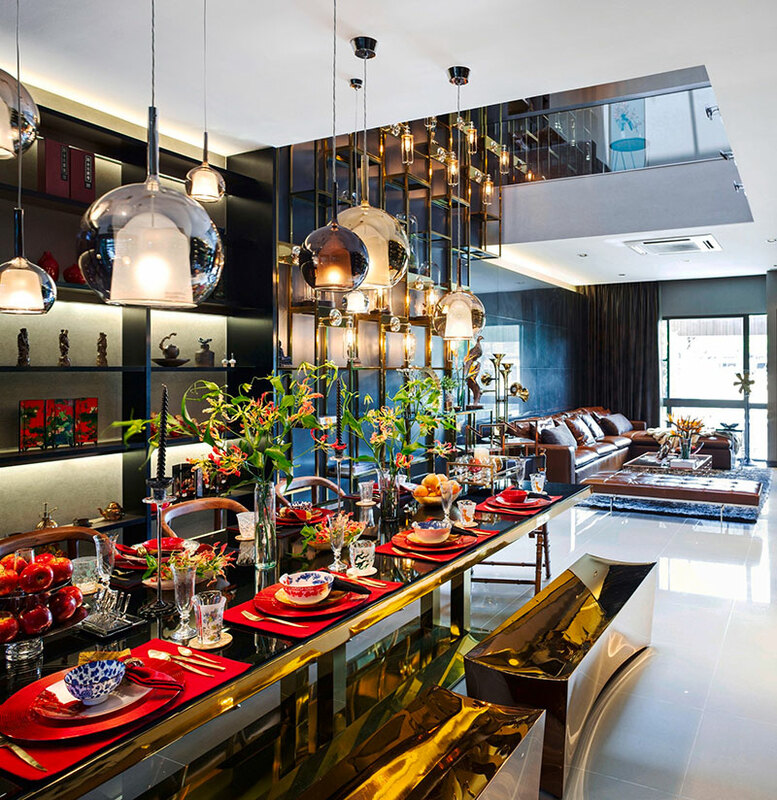 Seen here is the dining area that made use of many reflective materials making it appear very sophisticated. You can also see that it has many bold colors like the red plates and placemat as well as the gold trims and the centerpieces. A series of painting in collaborated design with Apostrophy’s and Mr.Jackkrit Anantakul, Thai Graphic Designer shows the decorative style of half Thai-Chinese featuring cruel and powerful animals such as Lion, Tiger and dragon. These hopes to bring power and good luck to the house. If I am not mistaken, this could be the Moon Roof which allows light to enter the house. But light is controlled with an automatic system. 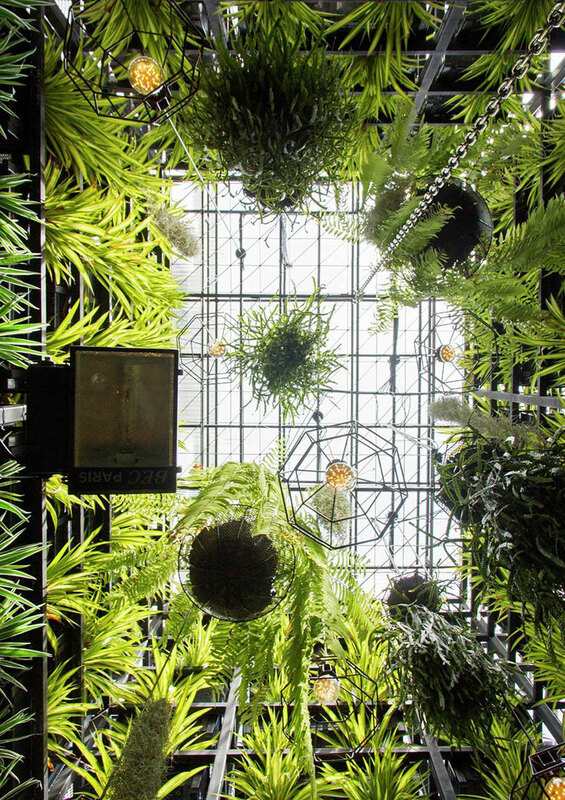 This 25 foot(7.5 meter) high vertical garden brings nature into the home in a dramatic way. 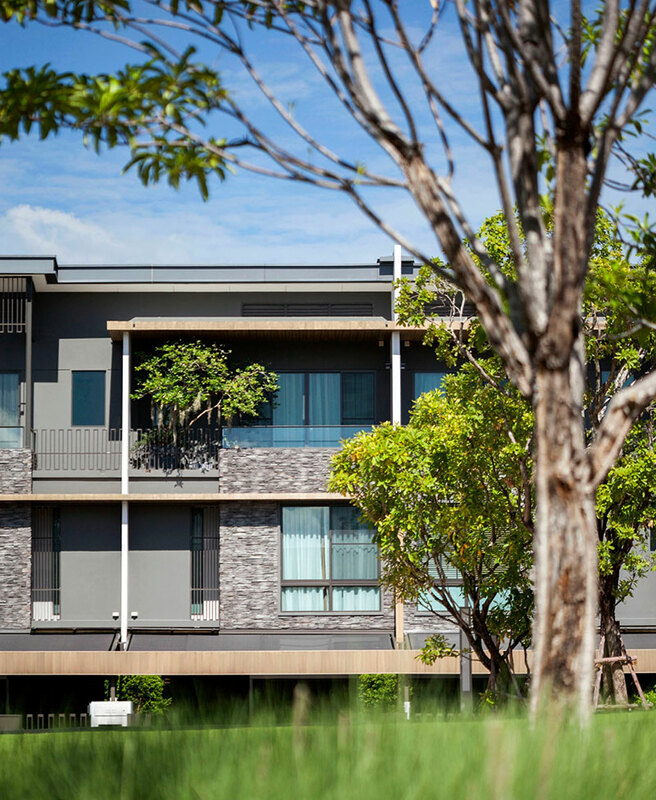 Aside from the plants around it, it is also a good area to read a book, relax and have some private time. This garden has been designed to bridge the gap between life and nature. Different kinds of plants were experimented on growing in the area considering its water need. There is also a fertilizing system that is adapted for the best solution. This is how the plants look like when viewed from above. UV Lamps are placed on the ground so that every plant can grow equally. 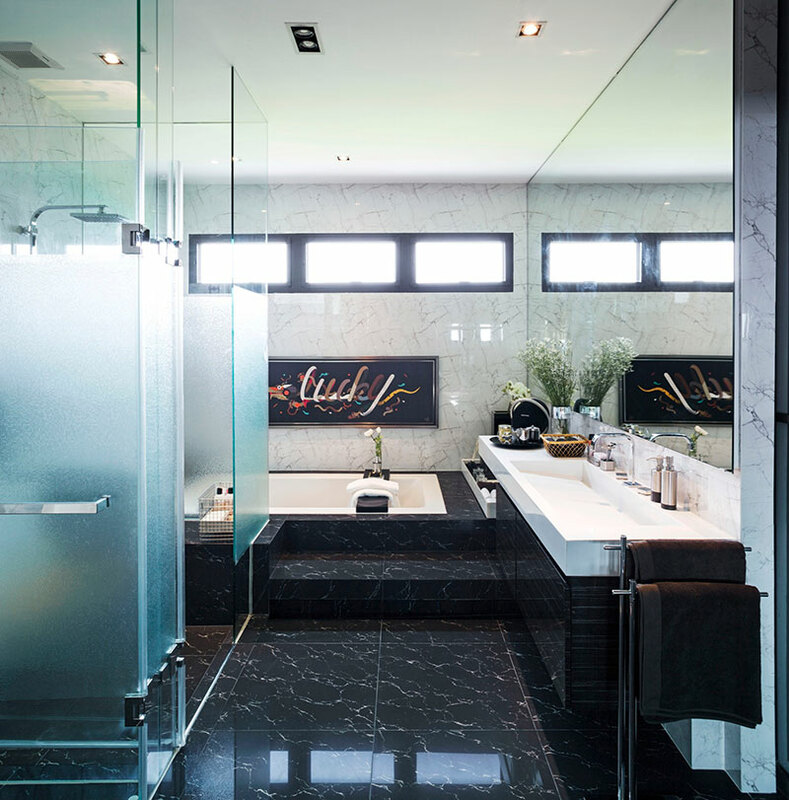 The bathroom is very spacious with a marble like texture on the flooring as well as on the walls. Aside from that glass shower area, there is a spa part too. A 3D presentation of what is inside the town house. 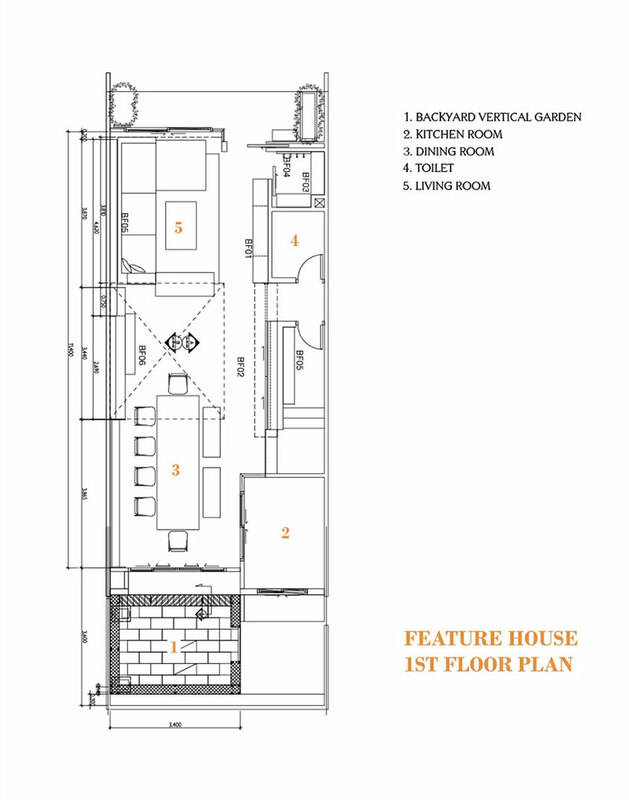 In this floor plan, you can see where the vertical garden is located as well as other areas of the house. 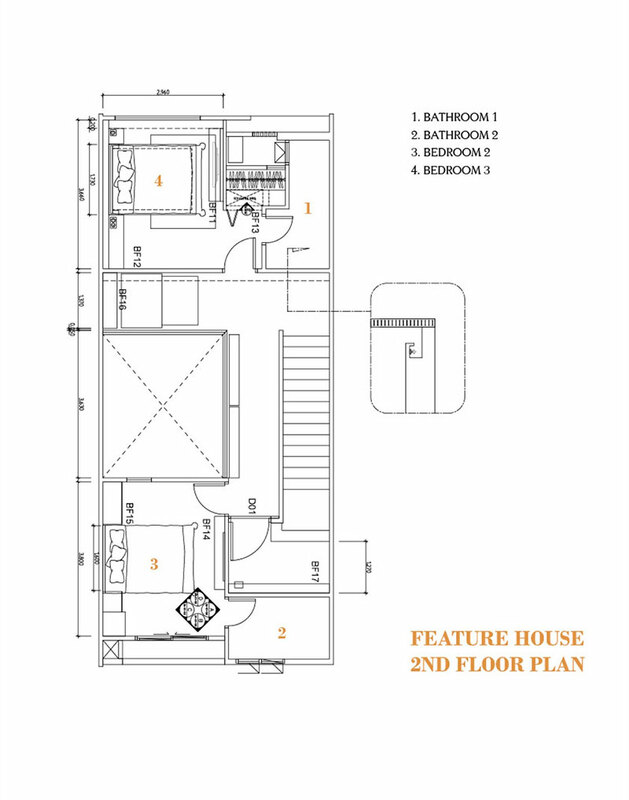 On the second level area two bedrooms that has their own bathrooms. 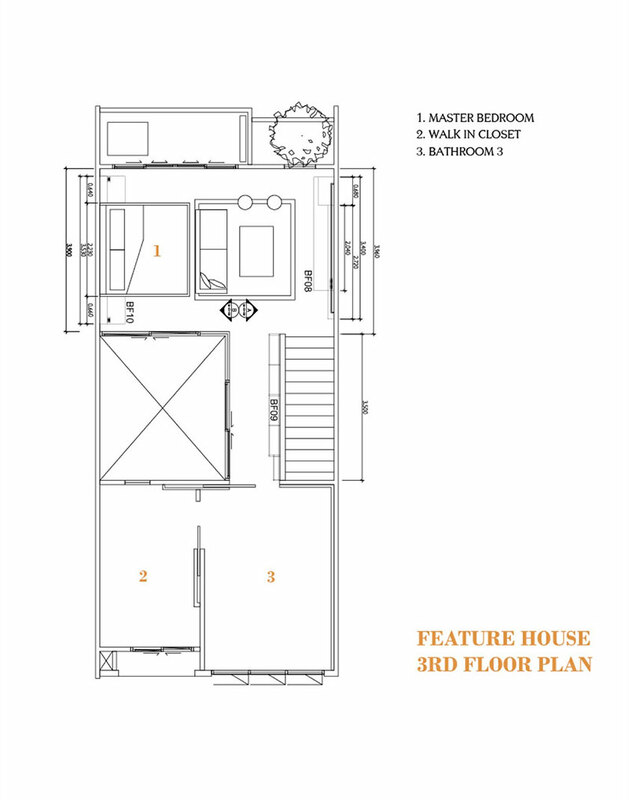 Seen here is the third floor plan of the house showing us the private areas. This is indeed a unique house! The designer defines it as a “Combination of opposite things” where the “East meets West, where technology meets nature, and where the traditional craft meets radical design.” We can see that the designer successfully blended together various items and accent its dominant simultaneously within the limited space since the house is set inside a “Townhome”. 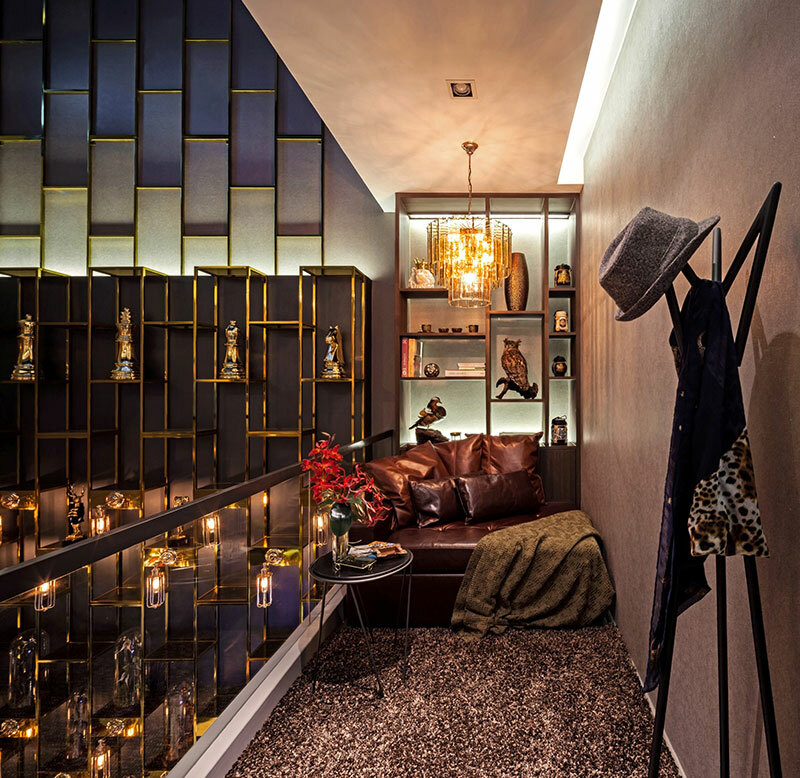 The Apostrophy’s Design Studio really did a great job to this home design because it didn’t just made use of the space really well but also made it look sophisticated.